There is one brownie recipe I have used for literally years, making infinite variations by adding whatever strikes my mood and it never - I mean never - fails. The recipe is from an older cookbook called, Chic Simple. 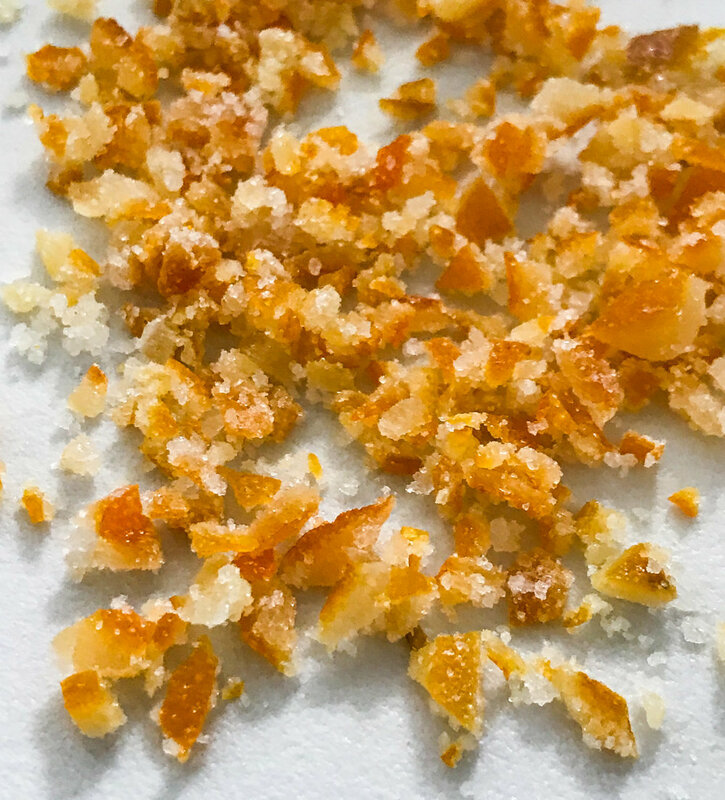 This week I made a batch of Candied Orange Peel and it was also my husband's birthday. Husband does not really love cake, I know - the marriage works anyway, but he does love brownies. So, I made a giant batch of brownies with candied orange peel and chunks of dark chocolate. Who doesn't love chocolate and orange - right? The recipe is a simple one with addition of chopped orange peel and chopped chocolate chunks making it special. To make the brownies birthday worthy, I topped each serving with vanilla ice cream. If you made candied orange peel, did you save the syrup? I hope so! Spoon over the warmed orange syrup and garnish with whole candied orange peel segments. A simple recipe, easier than cake and a happy husband - perfect! Preheat oven to 325 degrees. Prepare a greased and parchment lined 9 X 12 inch baking pan. Melt butter and chocolate over the lowest heat on the stove or in the microwave. Once melted, put mixture aside to cool. Combine eggs, sugar and vanilla. Whisk together until well combined and frothy. Add cooled butter and chocolate mixture, stirring until just combined. Add in flour and salt, mixing well. Fold in chopped orange peel and chocolate chunks. Pour batter into prepared pan and bake for 30 minutes. Top brownie slices with ice cream or whipped cream. Spoon over orange syrup reserved from making candied orange slices. Garnish with whole pieces of candied orange peel.